We Can Help With Your Timeshare Cancellation Or Refund! Welcome angry, disillusioned and fed-up Timeshare owner to the Cancel By Owner website. If you feel like you have been tricked, defrauded, or misled during the purchase of your Timeshare and/or Vacation Ownership, you are certainly not alone. We might be able to help you with your Timeshare cancellation or refund. In most cases you are the majority and part of an un-enviable fraternity of thousands upon thousands that have been influenced to buy through deceptive sales practices! Most of your peers have no idea that a Timeshare cancellation is a real possibility. You probably believed you were doing something economically beneficial for yourself and your family. You based these thoughts on information that was provided to you at the sales presentation by an appealing sales, or member services, representative who was well trained in the art of gaining your trust. If you have been a victim of Timeshare fraud and misrepresentation, Cancel By Owner will assist you with the Timeshare cancellation of your contract. The Timeshare and Vacation Ownership industry generated $10.6 billion in sales in 2007 alone. According to the American Resort Development Association, timeshares contributed $92 Billion to the US economy in 2005. This massive business operates in an atmosphere of minimal government regulation maintained by persistent lobbying efforts from the Timeshare and Vacation Ownership Industry. Now that you have probably experienced the real use of Timeshare and the continually escalating costs, you may possibly be regretting the day you got involved. You need to cut your losses and get out from under those monthly payments and seemingly increasing maintenance fees and assessments! Cancel By Owner can assist with a possible Timeshare cancellation or refund! You may have already tried to cancel your Timeshare contract through the resort only to be told that you can not cancel. Do not spend another minute battling your Timeshare company alone. We are not a resale, rental or title transfer company. 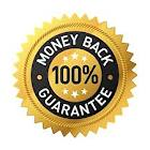 We ARE a Timeshare cancellation or refund advocacy group. Cancel by Owner is a consumer-based, consumer advocacy organization offering legitimate, fully guaranteed help. Cancel by Owner has the time, resources and knowledge to assist you with the Timeshare cancellation of your Timeshare or Vacation Ownership contract.